Raised on a Yakima Valley farm, Rademacher was a junior college transfer to Washington State, where he played football and some baseball. He was ineligible to box at the collegiate level because of his Golden Gloves experience but he sparred with the WSC team and fought in some campus exhibition matches. After graduating, Rademacher worked odd jobs, helped out on the family farm and eventually reported to Fort Benning, Georgia for active duty in the U.S. Army. He’d been in the Reserve Officer Training Corps at Washington State. In the Army, Rademacher continued to box competitively, piling up more amateur titles, including the 1956 All-Branches championship, before punching and weaving his way onto the U.S. Olympic team later that year. The qualifiers in San Francisco took a toll, though. Rademacher injured his right arm and spent over a week recuperating in a hospital. It was questionable whether he’d be able to make the trip to Melbourne but got a lucky draw straight into the quarterfinals, which gave him extra time to heal. By the time he suited up for his first match, Rademacher was ready. The first opponent was Czechoslavakia’s Josef Nemec, who survived just two rounds. The next, Daan Bekker of South Africa, managed to get to the third round before being finished off. The two knockouts sent Rademacher to the gold medal bout against Moukhine, who also advanced on straight knockouts. With the Cold War intensifying, interest in the heavyweight matchup between a Russian boxing champ with a 100-0 record and a U.S. Army lieutenant drew international attention. But the trash talk is what got personal. Rademacher was a strategy fighter who relied as much on tactical evasion as a hard physical attack. And that’s when he’d pounce. In the ring, the two contenders circled, sizing each other up. Mouhkine got up but Rademacher landed more punches, sending him back to the mat. The Soviet champ got up again but Rademacher floored him for a third time and the referee called the fight, raising the American’s hand in victory. Mouhkine had barely landed a punch. 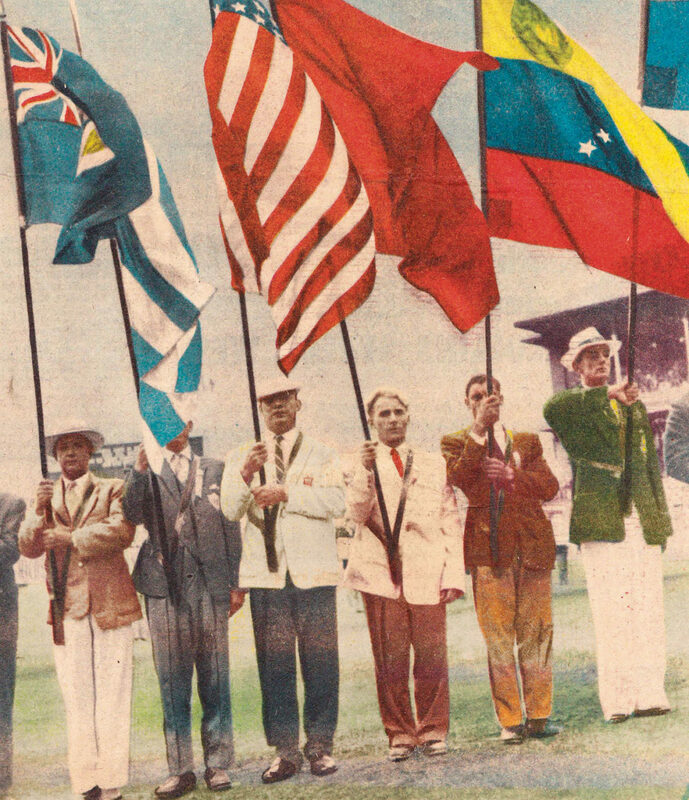 Surrounded by an international swarm of cheering athletes, Rademacher tearfully accepted the gold medal and was selected by his teammates to carry the U.S. flag during the closing ceremonies. He went on to fight professionally until 1962, retiring from boxing with a 17-6-1 pro record and went into business in his adopted home state of Ohio.